There are 5 stages of development during a bed bug’s maturity. During each stage, a bed bug will molt their skin to make room for a larger skin, like a snake. 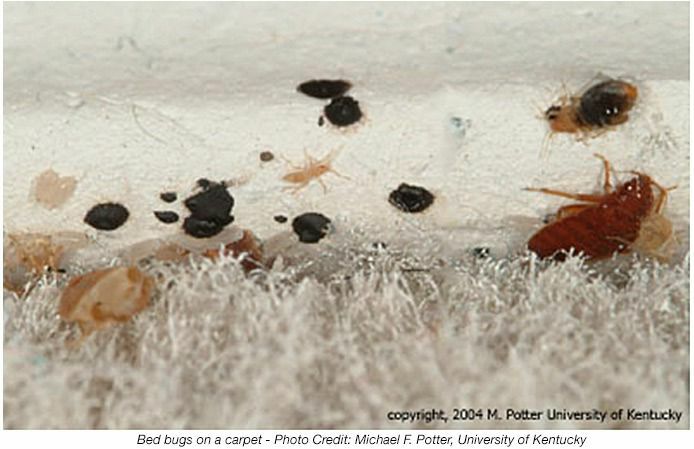 The skins that are left behind can provide a good indicator that bed bugs are feeding and thriving in your home. 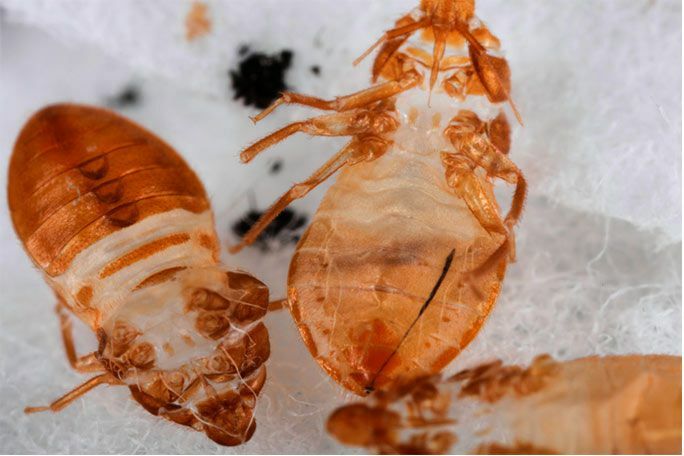 In order for a bed bug to progress from one stage to the next, they must feed. That’s why cutting yourself off from the bed bugs through the usage of mattress encasements and interceptors is so important; by reducing their likelihood of finding a food source, you reduce their ability to reproduce and spread. While the bugs themselves are generally a dark reddish-brown, their molted skins are lighter and clearer — they tend to have a gold or amber color to them. 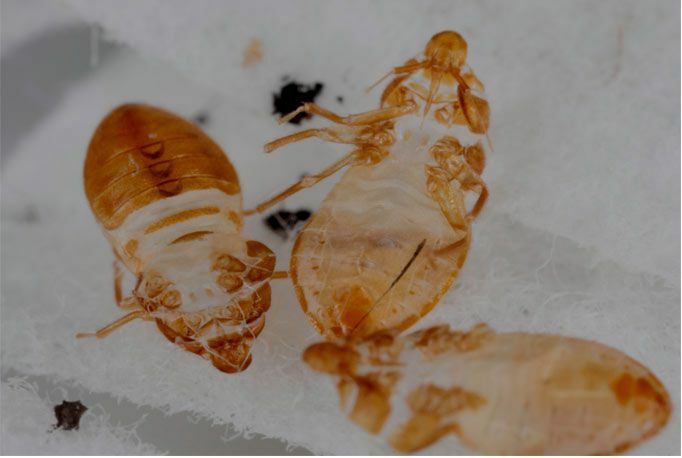 Since the skin is part of the bed bug’s exoskeleton, it retains the shape and size of the bug pretty well, including its legs and joints. You’ll usually find shed skins along mattress seams and baseboards, behind headboards, and where the ceiling meets the walls.